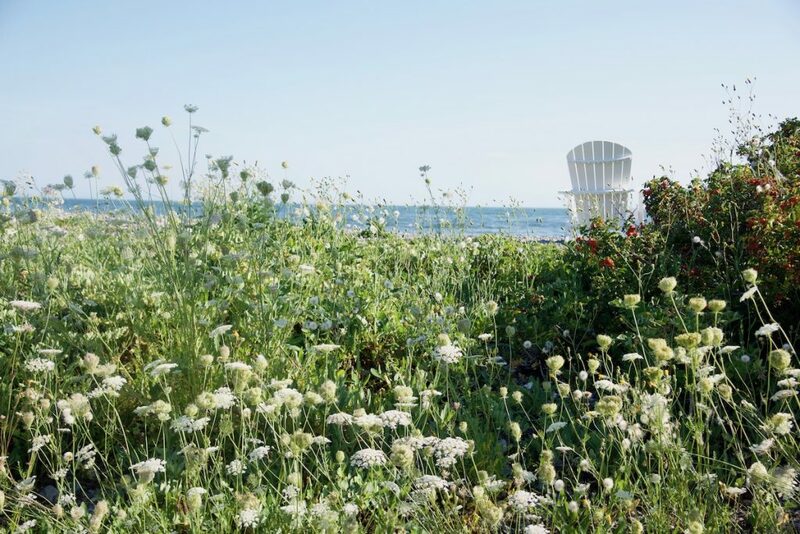 Once known merely as the dreamy backdrop of the Bush family compound, Kennebunkport, Maine is a tiny New England town on the state’s rocky southern coast– the perfect place to have a quintessential New England beach experience. Today, however, Kennebunkport also has a hotel and restaurant scene that makes it a world-class summer travel destination. I’ve been vacationing in Kennebunkport every summer since I was a kid, and having grownup in New England I can truly attest that this is one of the best vacation towns for those looking for an accessible, immersive Maine experience– especially if you want to get a big dose of Maine in a short period of time. 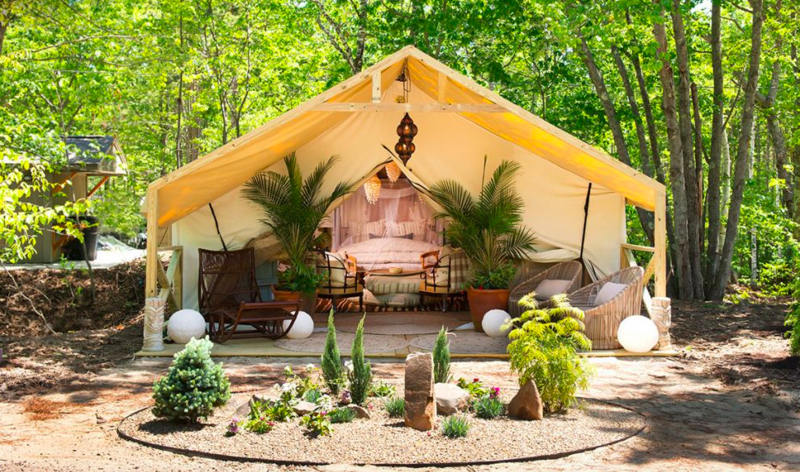 From gorgeous beaches and lobster rolls to family run ice cream stands and quaint nautical design shops, “Kport” has become shorthand for leisure, luxury, and slow living. 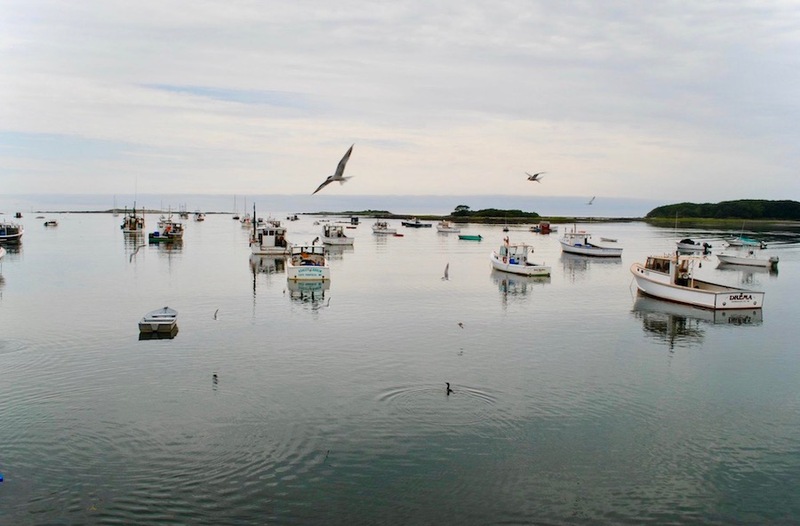 In addition to the reliably beautiful ocean views and enduringly “small town” feel, Kennebunkport boasts its fair share of art galleries, spas, lovely antique shops, charming local farm stands, coastal inlets for kayaking, fishing, sailing, and more. There are also enough bike routes to explore for a lifetime. Cape Arundel Inn & Resort is an elegant waterfront inn with a fabulous restaurant perched right on the Atlantic’s rocky coast. Ocean is one of the most scenic restaurants in the country, where food is sourced and plated with undeniable finesse. This All-American dining experience offers a rare glimpse into the food geography of Maine, as gorgeous plates are tailor-made from locally-sourced ingredients. They even grow herbs and select vegetables in an on-site garden directly across from the crashing waves. Ocean, moreover, is true to its namesake, with sweeping oceanfront views that you can experience from inside the Cape Arundel Maine House, the dining room, and the front porch. Nestled among turn-of-the-century mansions, Cape Arundel is one of the most luxe and quintessentially “Maine” environs visitors can frequent in the area. Ocean’s beautiful front porch is ideally situated for sipping cocktails while listening to the waves crash at sunset. What could be better? Kayakers enjoying the quiet serenity of Goose Rocks Beach. Goose Rocks Beach is by far one of the most beautiful beaches in America. And a quintessentially New England one, at that! This long, flat 3-mile beach is best at sunset or early morning (before the crowds roll in). It’s a great “walking beach.” Goose Rocks is also dog friendly, for those renting homes nearby (which we recommend doing). Commuters be advised: beachfront parking is limited. Snug Harbor Farm is a lovely little garden and home shop located on a flower farm where horses, peacocks, furry chickens, ducks roam freely. Expect high-end interior home wares and locally-made artisan goods like copper jewelry, artisanal soap, vases, terra cotta objects, linens, paper goods, wooden signs, and the like. Outside, there are thousands of potted plants, topiary, and succulents housed in half a dozen small greenhouses. There’s also an ample variety of small local trees, rustic metal statues and vessels, cement garden objects, a small vegetable garden, and local New England staples like hydrangeas, blueberry bushes, and lovely espaliered apple trees for purchase. Don’t mind the ducks and chickens that roam freely amongst the flowers; fowl and flora coexist peacefully at this side-of-the-road sanctuary. 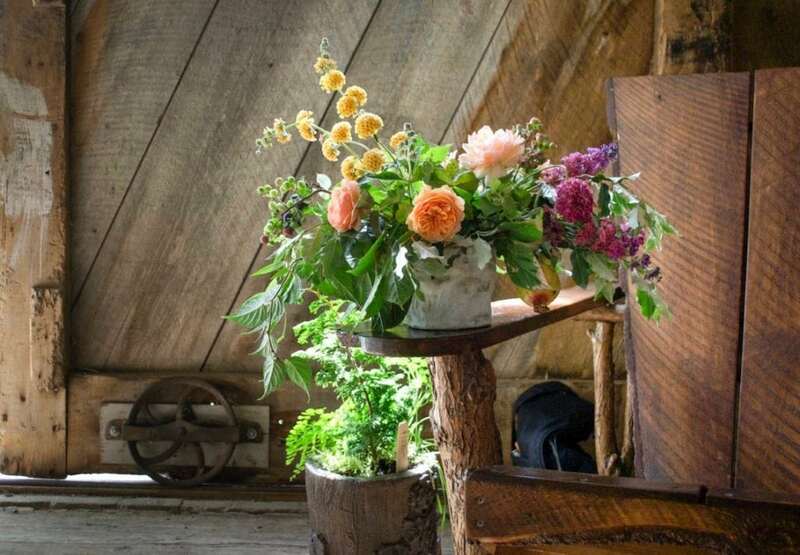 In the summer, Snug Harbor Farm also offers “flower foraging” and floral arrangement workshops in which guests can cut their very own flowers from the garden right outside the studio. 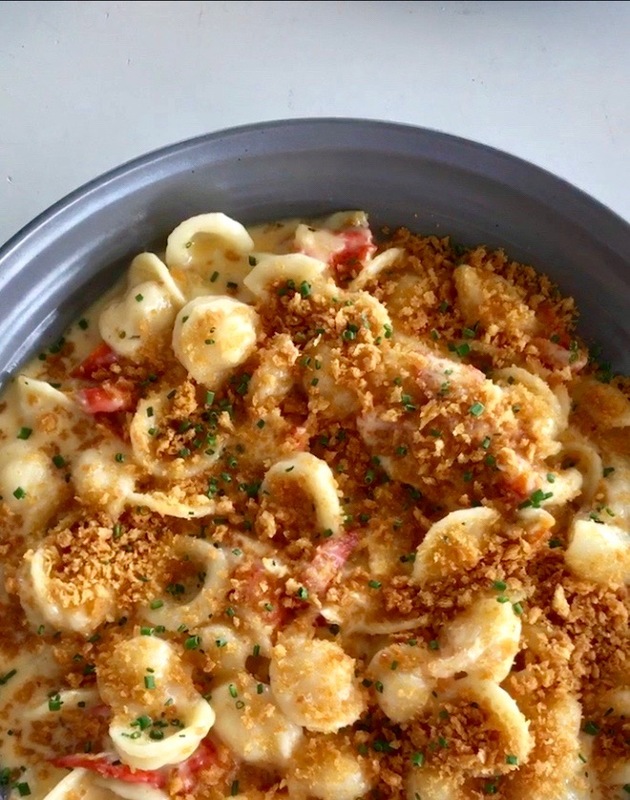 The Boathouse’s signature Lobster Mac-n-Cheese. The Boathouse serves classic Maine seafood with an Asian influence– a delightful twist on the local vernacular in a restaurant situated inside a waterside hotel of the same name. We love the sumptuous lobster mac & cheese and the adorable finger-sized crab and lobster tacos, which are small enough to share while you wait for your mains. The view is lovely and the raw bar is also notable, with local oysters, fresh shrimp, scallops, and the like. The restaurant works with local farms and a portion of the proceeds from select menu purchases also support local charities. What could be better? The mixed-used camp ground is also just across Route 9 from Goose Rocks Dairy, which has excellent locally made ice cream. WiFi is available throughout the entire 300-site campground, which also has laundry facilities and bath houses. For those who want to mix high and low: Tides Beach Club and Earth at Hidden Pond are both nearby. 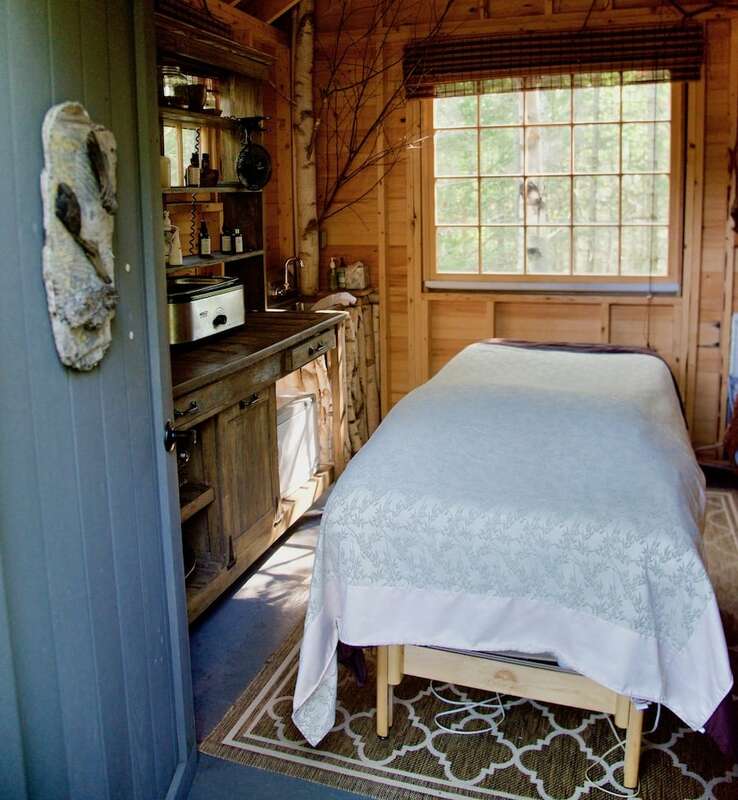 Nothing says “Maine relaxation” like getting a massage in a treehouse. Earth at Hidden Pond offers exceptional farm-to-table cuisine, which is partially grown on site in picturesque environs of Hidden Pond (a luxury resort located One Mile from Goose Rocks Beach). Earth’s homemade charcuterie, bread, pasta, and wood-fired meat dishes are excellent, and the woodsy decor is both welcoming and refined. Earth’s “organic inspired” al fresco dining is also some of the best in the area. Like the Hidden Pond resort itself, it’s an ideal destination for those who love being immersed in nature. 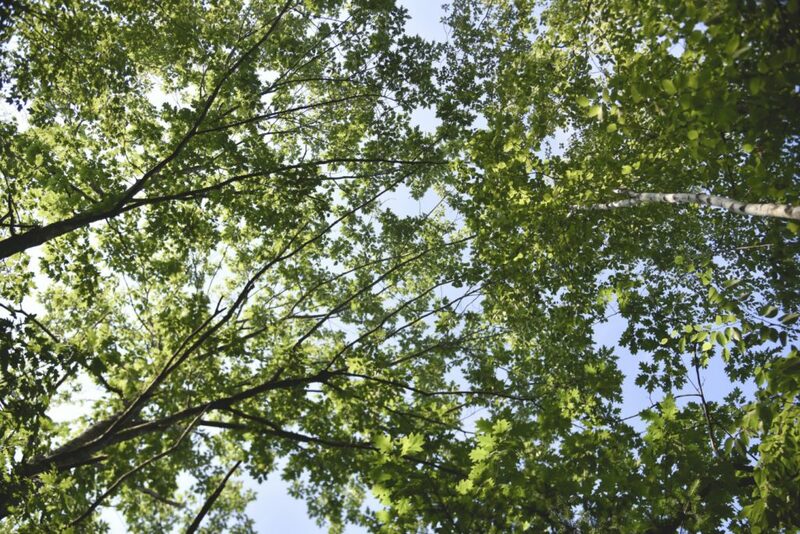 The Tree Spa at Hidden Pond, meanwhile, is a lovely, meditative oasis nestled in a birch forest just a few minutes from Goose Rocks Beach. The Muscle Melt Renew Massage incorporates scented oils, warm towels, and therapeutic arnica gel to dissolve tension in the upper back, neck, shoulders, and scalp. Plus: you can’t beat the surroundings. The Tree Spa features a cluster of tree houses connected by a series of canopies near the serenity pool. Inside, your massage table awaits. Spending time in nature already feels like luxury, but this place takes the experience to a new level. Many people associate New England travel with charming B&B experiences, and to that end The Inn at English Meadows does not disappoint. The Inn’s charmingly appointed historic rooms and suites are just a short walk from some of the area’s most rugged and beautiful coastline. 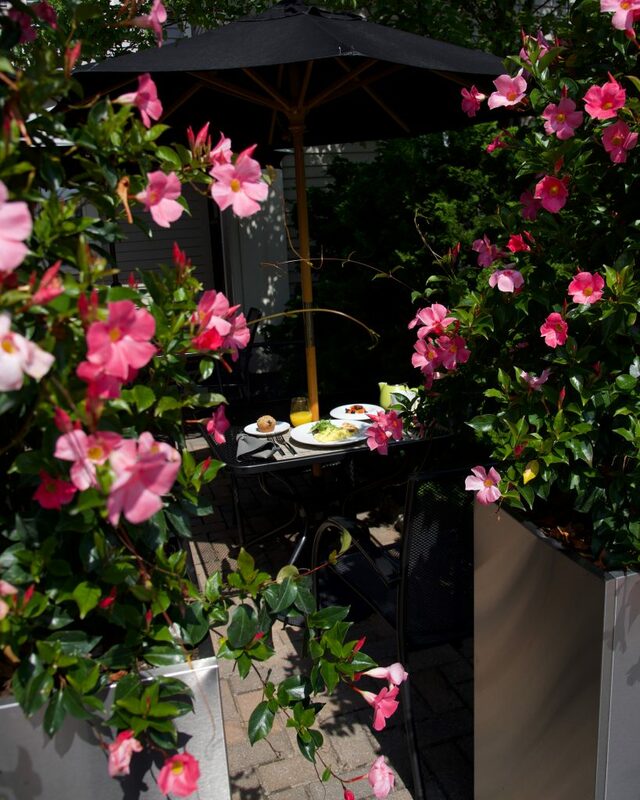 They also have a lovely patio where summer guests enjoy breakfast among the morning glories. The Yachtsman Hotel & Marina Club offers 30 luxurious harbor front bungalows with garden terraces and luxe designer furnishings by local power couple/design partners Louise and Ralph Hurlbutt, of Hurlbutt Designs. Expect bright, elegant colors, lushly padded headboards, and fabulous Adirondack chairs that are signature to the area. 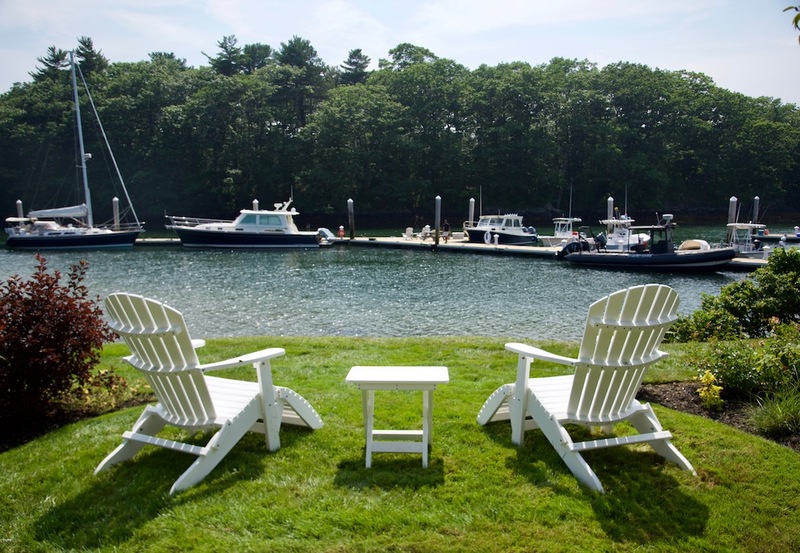 Strategically located on the Kennebunk River, YHME is close to Dock Square and a number of notable restaurants. The Arundel Wharf, The Boathouse, Mabel’s Lobster Claw, and The Burleigh are all within walking distance. 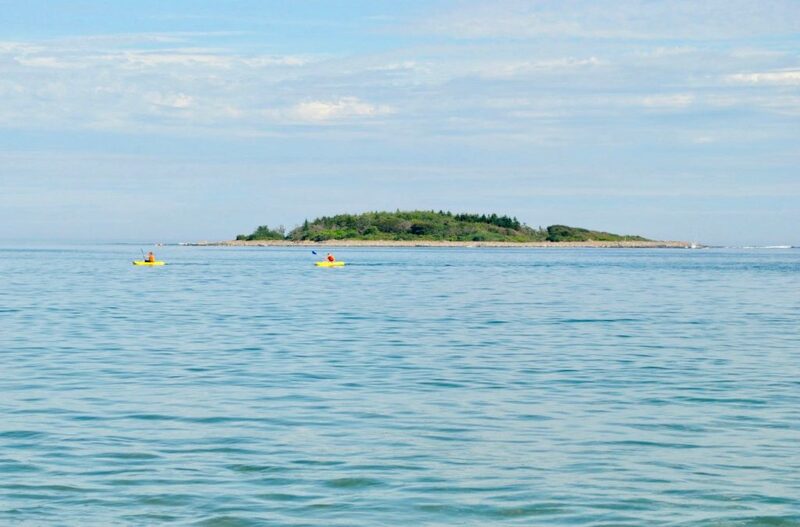 The hotel also offers complimentary kayak, canoe, and stand-up paddleboard rentals for exploring the coves and inlets of the Kennebunk. You can’t vacation in Maine without spending time on the water. Spiller Farm is technically located in nearby Wells, Maine– but it’s worth the short drive out to pick fresh, local blueberries in July (when they are in season). 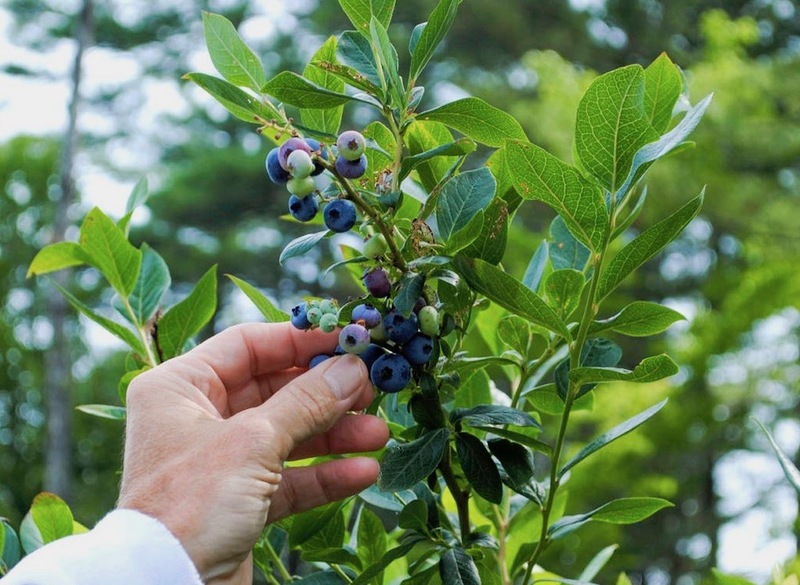 Blueberry season extends from mid-July to mid-August. We love Spiller Farm’s “U-pick” option; often, you can pick several pounds of fresh blueberries for much cheaper than you could find them in the supermarket. Plus, you get to pick them yourself from a quaint little blueberry patch in the shadow of a forest grove. White Barn Inn & Spa is a fabulous property with gorgeous dining and a spa that can’t be beat. We love their Kennebunk River Hot Stone Massage, which blends Swedish hot stone modalities with local therapeutic finesse. The White Barn Restaurant is also Forbes Five Star certified, serving contemporary New England cuisine in an elegant, atmospheric setting. The Bistro, meanwhile, serves more relaxed classics like lobster pizza and surf & turf. 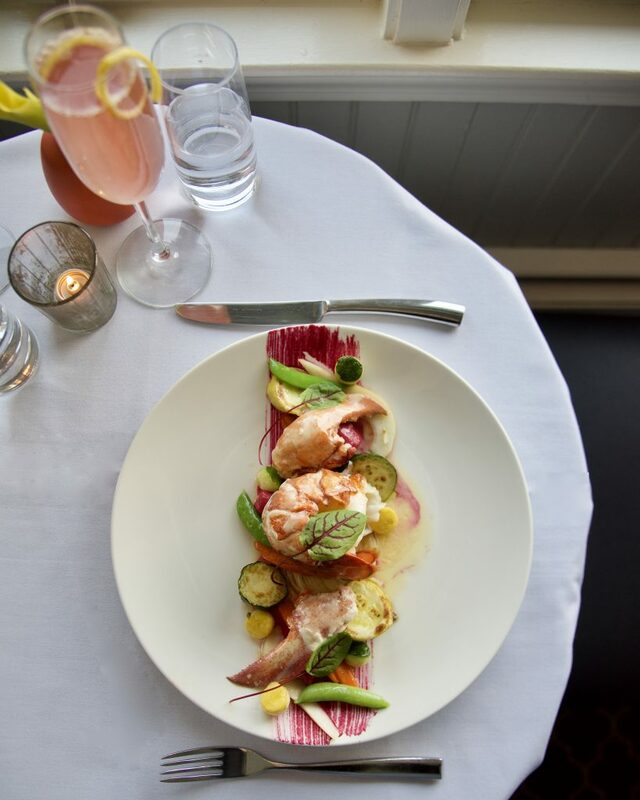 Either way, you can expect beautifully-presented dishes from local farms, fisherman, and foragers throughout coastal Maine. 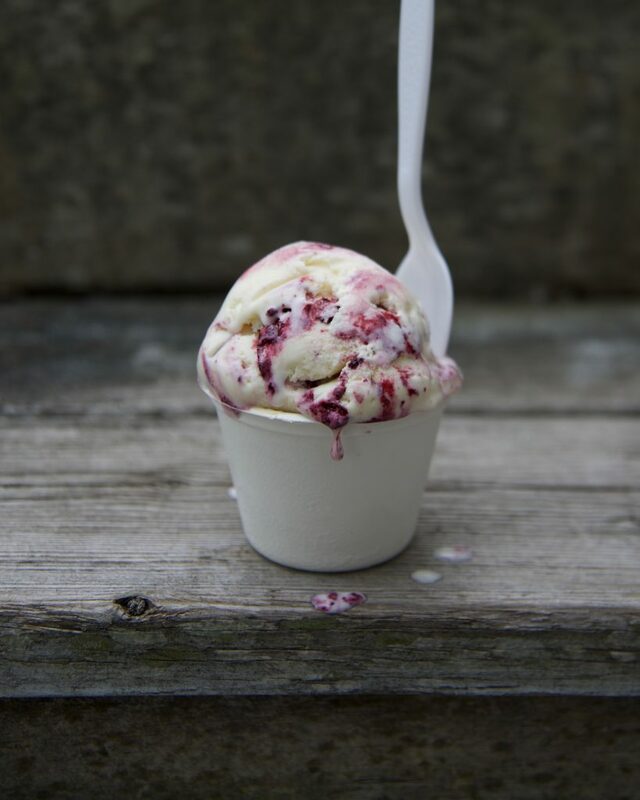 With its sweet location just off of Dock Square, Rococo Ice Cream is handcrafted in Southern Maine using fresh local ingredients, but it’s really the elevated flavors that inspire. Above is a picture of the Blackberry Goat Cheese Chambord ice cream atop a scoop of their signature Sweet Avocado Cayenne gelato. You’ll know when you’ve found the place when you see the line out the door. The Tides Beach Club is a charming-yet-refined hotel and restaurant on Goose Rocks Beach. Expect an elevated B&B vibe with the fixings of a luxury resort: the club is situated in a house that honors the local architectural tradition, and meal honor the surroundings. Dinner starts with delicious homemade bread and maple butter. The restaurant serves the lobster roll (both the hot and the cold option) on a notable potato bun. Rustic margaritas come in salt-rimmed mason jars. Other than that, expect fresh, beautifully orchestrated salads and satisfying mains with meat sourced from local farms. This is a great place to order cocktails and dinner after a lazy day on the beach. 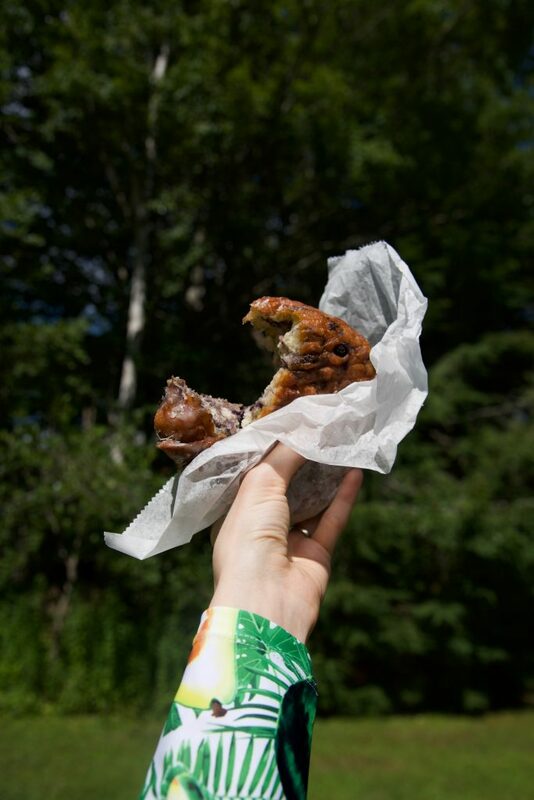 The Blueberry fritter from Congdon’s Doughnuts is repeated voted one of the “Best Doughnuts in America. Fluffy, crisp, and decadent, this fritter is best enjoyed fresh out of the oven while sitting in an Adirondack chair on the porch of a beach house. While Congdon’s is technically located the next town over in Wells, it’s worth the slight detour on your way to the beach. The shop has been serving the same old-timey doughnuts since 1955. Congdon’s also makes the largest honey dip doughnut we have ever seen. It’s 11 inches in diameter and large enough to feed a small army! This is a donut the size of a bundt cake– and it only costs $2.99. The Rachel Carson National Wildlife Refuge is a constellation of preservation lands that dot the coast of Southern Maine. 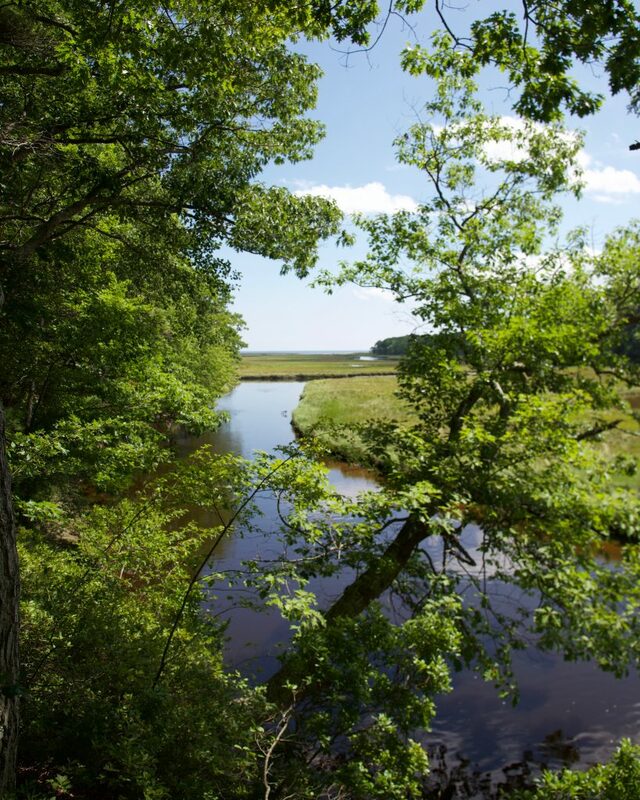 This particular piece of the refuge is a short one-mile circuit on the border of Kennebunkport and Wells that really isn’t a destination in its own right, but still a beautiful place to stop and picnic or walk around if traveling between the two towns. The rustling of leaves in the canopy, the ocean breeze, and the views over the iconic salt marsh are intoxicating. 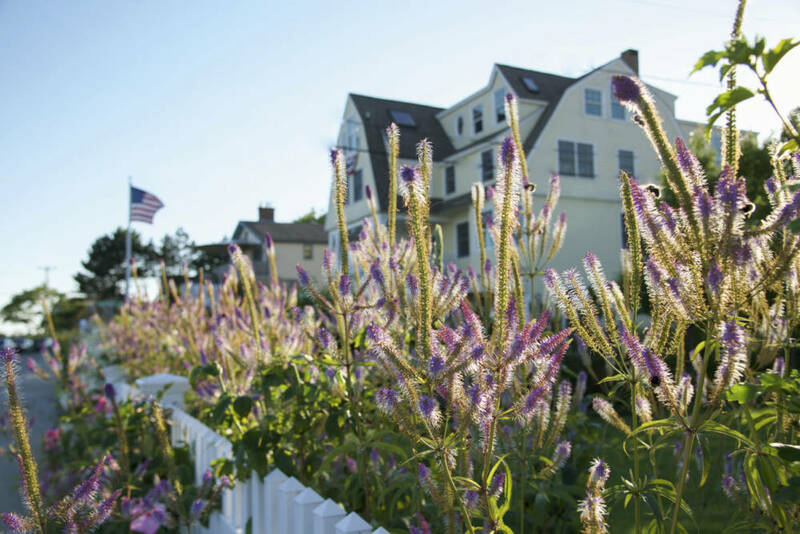 Conveniently located right in Dock Square, the Kennebunkport Inn features Ralph Lauren-inspired interiors and convenient proximity to Abacus art gallery, Hurricane restaurant, and Rococco Icecream. The on site Burleigh restaurant offers elevated takes on traditional pub fare (onion strings, fried brussels sprouts, deviled eggs, etc). The main dishes– chicken, pork, local seafood, and burgers– are slightly elevated and always expertly prepared. 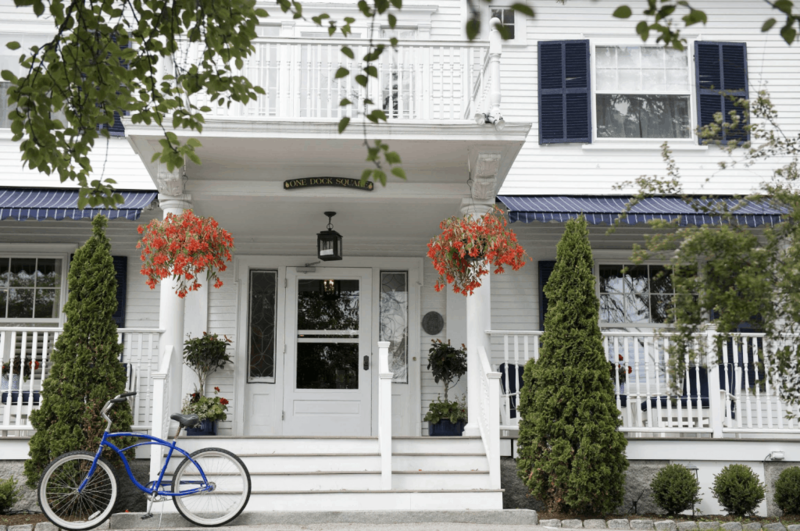 The Kennebunkport Inn hybridizes what feels like a traditional Maine B&B experience with the refined touches that hotel goers love and expect when they travel. Fortune Rocks Beach sits on the border of Biddeford, Maine, and Kennebunkport. While the area is mostly residential, it also features dazzling long stretches of public coast. We recommend enjoying these beautiful views from the seat of a bike zooming down a beachfront road– and in Fortune Rocks, it seems like every road is a beachfront road. On the northernmost tip of Biddeford Pool, visit F.O. Goldthwaite’s & Pool Lobster for lobster rolls, ice cream, and other seacoast-inspired deli fare. It’s a great place to stop for lunch when you ride in from Goose Rocks Beach– just remember that you’ll have to pedal your way back. Roadside farm stands are a dime a dozen in coastal Maine, but in the summer, full-fledged working farms like Frinklepod take on a special charm. 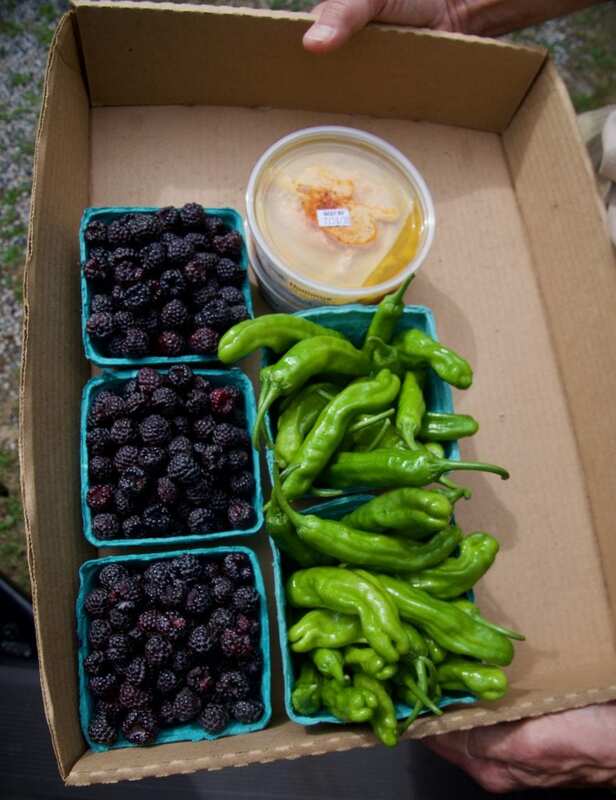 Stop by their picturesque roadside farm to gather local shishito peppers, cosmos, fresh blackberries, locally made cheeses, hummus, and jams, and other garden-fresh staples. Be sure to stop and marvel at the gorgeous heirloom tomatoes and beautiful flower patches. Located in the middle of downtown Kennebunkport, Dock Square is the “main drag” for tourists and newcomers to the area. While it may seem touristy on the outside, Dock Square is actually home to several hidden gems, like Abacus— an avant-garde art gallery that wouldn’t feel out-of-place in LA or New York– and Coastal Jewelers, which is home to a beautiful and affordably priced collection of jewelry made from colorful “watermelon tourmaline”– a rare gemstone mined specifically in Maine. Next to Coastal Jewelers is Flaming Gourmet— a great place to get locally made sauces, sea salt, Maine blueberry jam, Maine maple syrup, and the like. Across the street, be sure to check out Hurricane Restaurant— a slightly upscale dinner hotspot featuring foodie-friendly staples like braised local short rib and fresh-shucked oysters. Cape Porpoise is a charming little inlet and residential neighborhood known for its beautiful homes, colorful gooseberry bushes, and quiet but respectable restaurant scene. The Cape Porpoise Pier is a great destination to bike to from Goose Rock Beach (it’s about 10 miles round trip), and it’s also a great place to launch a kayak, explore the water’s edge, or observe barnacle-covered lobster traps up close. Adjacent to the dock is Pier 77 Restaurant— a famous, upscale gathering place for the area’s well-heeled families, including the Bush family. The food here is reliably excellent and plated with finesse, including dishes like Lobster Ravioli and Pan Seared Atlantic Scallops. The restaurant also boasts panoramic views of the cape has a piano in the dining room (it’s that kind of place). Be sure to wear your nice shoes. 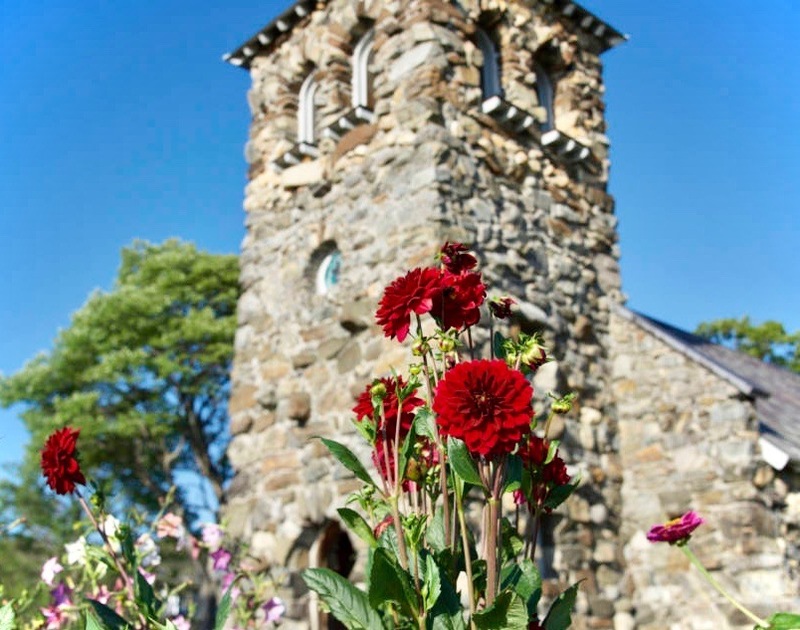 St. Ann’s Episcopal Church is conveniently located off of Ocean Ave on the Kennebunkport breakers– just down the road from the Cape Arundel Inn. With its unique perch right on the edge of the water, the church’s small campus is free and open to the public as long as it isn’t a service holiday (unless there is a wedding going on). This is a beautiful spot to take in the sunset after dinner, or watch sailboats drifting across the Atlantic in the midsummer sun. The church itself also has lovely stained glass windows and a nice flower garden. You can’t leave Maine without experiencing a fantastic lobster roll. While lobster rolls and lobster chowder can be found on almost every menu in town (and we love the lobster roll at The Tides Inn, above), you can also get your fix at The Clam Shack, Nunan’s Lobster Hut, or The Ocean Roll takeout truck. 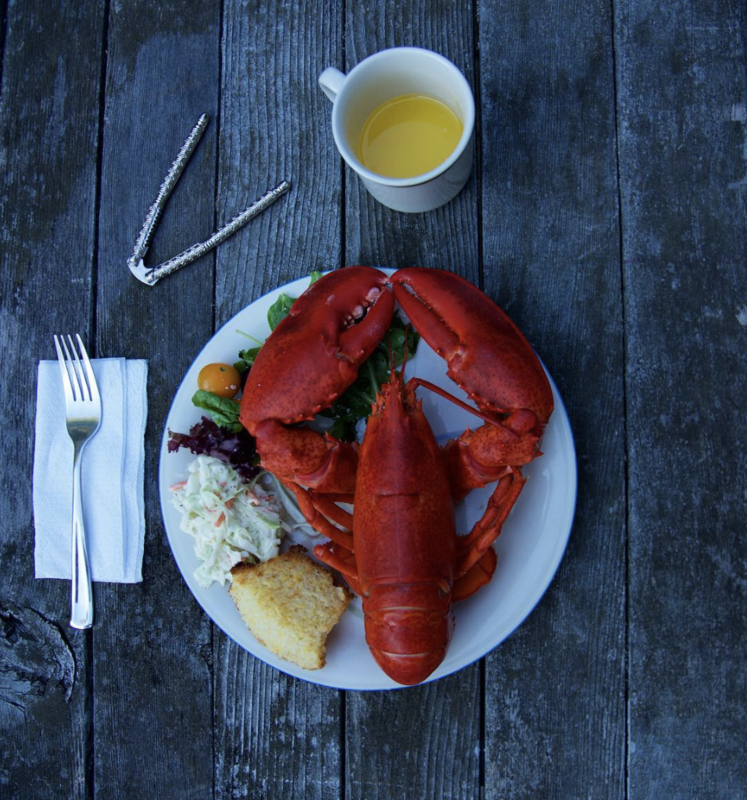 Adventurous parties staying in kitchen equipped rental cottages can also purchase fresh lobster from Langsford Road Lobster & Fish House to prepare at home. Cracking your own “lobstah” is a New England rite of passage, after all.